May is National Burger Month, which is a great excuse to expand your burger repertoire. Here, seven classic styles to work your way through the month. A Wisconsin specialty, the butter burger involves buttering the buns before grilling them, topping the burger with butter or stuffing the patty itself with butter. We like the tactic of brushing the patties with butter as they grill; the natural sugars caramelize, making the meat extra delicious. 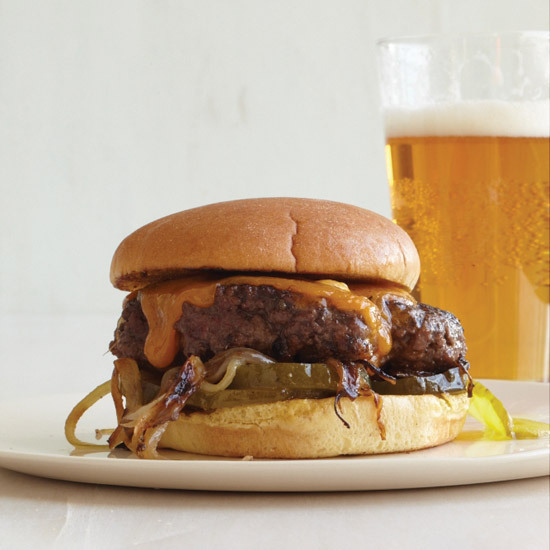 Crispy, griddled smashed burgers are reminiscent of old-school, drive-in-style burgers. Smashing the patties results in a crispy crust and tons of delicious charred flavors. If you’ve visited New Mexico, then you’ve probably encountered a green chile burger. First popularized in the 1950s, it’s essentially just a cheeseburger topped with chopped green chiles. It’s also great topped with a sunny-side egg. The Juicy Lucy is like a reverse cheeseburger. Instead of topping a burger with cheese, you stuff the cheese into the burger. The result: a gooey, messy, delicious cheese explosion when you bite into it. While most people get their tiny burger fix from White Castle or a sports bar, the mini, meaty sandwiches are easy to make at home and perfect for parties. What sets a steakhouse-style burger apart from your standard grilled burgers? The blend of meat. In place of the typical ground chuck, steakhouse burgers are made with cuts like short rib and brisket. Griddle the patty, add cheese and replace the standard hamburger bun with two slices of toasted bread—you’ve got yourself a classic diner-style patty melt. Super easy to make, the burger is also incredible embellished with bacon and sautéed onions.